When asked, I always describe my style as classic with a twist of edginess or a bit of rocker chic. About a week ago I received an email from Neiman Marcus labeled Rocker Chic, and I swear the items in this email were hand picked just for me (minus the prices!). 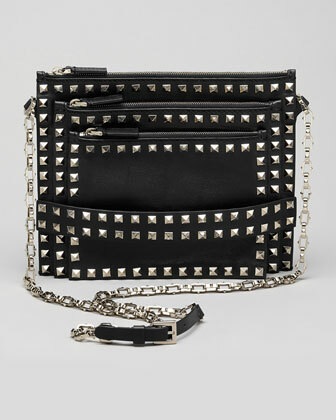 From spiked booties by Christian Louboutin, a studded leather jacket by Haute Hippie and a Valentino studded bag, these pieces add just the right about of rocker chic to any outfit. I can't wait to start my fall shopping!